Nintendo Switch and Yakuza seem like two great tastes that'd taste great together, but the match will remain little more than a pipe dream for the foreseeable future. In an interview with Gameblog.fr, Yakuza series producer Daisuke Sato opened up about the possibility of Kiryu and co. on Switch. "To be realistic about what happened, Yakuza 1&2 HD for Wii U was a huge failure," said Sato, as translated by Gematsu. "But we are always looking to develop for multiple platforms as much as possible and know that brings in a greater audience to attract more people." "As far as Switch is concerned, I'm convinced that it isn't the ideal platform on which to develop Yakuza games. Maybe people don't expect this kind of game on Switch. Maybe they're used to different games. It may not be the ideal platform. As for Xbox One, we can consider it, knowing that Xbox One users may be more likely to be interested in a game like Yakuza. This could potentially be an option." If you have qualms with that read on how the Yakuza games may or may not be embraced on Nintendo Switch, I hear you. I feel like the series has only recently found its footing in the West. And the Wii U -- well, the Switch is no Wii U. Let's just put it that way. 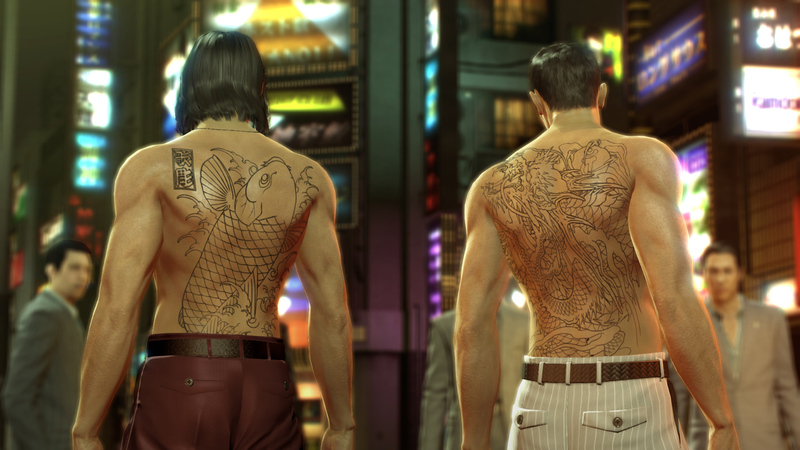 With Yakuza 0 coming to PC this August, maybe we'll see more movement down the line. I'd really like to see that game on every platform. In lighter news, Sato says that he'd "love to make a sequel" to the 2012 cult classic Binary Domain. "It is purely a question of practicality and administration," he noted. "It's up to Sega to decide whether or not they want to do it." I am extremely here for Big Bo and the rest of the Rust Crew. Yakuza, yes. We saw on the Wii U how the series performs. It's not a good fit. Binary domain was a game i enjoyed, but they don't want to go up against the competition on shooters nowadays. They should bring back some other classic series instead. Yakuza is the kind of game that is more enjoyable on big screen TV, but on big screen Switch doesn't have advantage over current gen consoles.